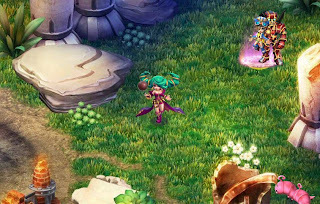 Starlight Story is a free-to-play browser-based MMORPG that places you in a vibrant game world on a mission to save the planet. It’s up to you and your loyal pets to gather enough of a certain resource and become a hero. With its beautiful and extremely colorful anime visuals, Starlight Story isn’t exactly original. Even the main feature, which is called Superstar Transformation, has already been seen before several times in other games. The player has the ability to transform into a boss he has previously defeated and use its powers and statistics. The game also includes mounts and pets, with the latter also capable of transformation.